Siddhivinayak Mandir is a Hindu temple of Lord Ganesh located in Mumbai, Maharashtra. God Ganesh is known as Vighnaharta, who destroys all obstacles. In Hindus, before starting on any new project we worshipped the Lord Ganesh. It is one of the most divine place in Mumbai and attracts thousands of devotees everyday. It is visited by locals on a regular basis and most of the tourists who came to Mumbai. Mumbai Siddhivinayak Temple and Gateway of India are among the one of the most visited place of Mumbai. It is more than 200 years temple as per the government documents. It was established on 19th November 1801 as per the official source. It was a small temple at that time and creator of this temple were Laxman Vithu & Deubai Patil. Later it was converted into a big complex which is present at the current time. Shree Siddhivinayak Ganapati Temple housing 2.5 wide deity of lord Ganesh. Currently it is one of the richest temple of India. A Hanuman temple is also built in the complex in 1952. Mumbai Siddhivinayak Mandir opening time is 5.30 AM from Wednesday to Monday and it opens at 3.15 AM on every Tuesday. It closes at 9.50 PM after the Shejaarti. On Tuesdays it closes at 12.30 in the night after the Shej Aarti. On Sankashti Chaturthi it opens at 4.30 AM. On Maghi Shree Ganesh Jayanti and Bhadrapad Shree Ganesh Chaturthi opening time of Siddhivinayak temple is 4 AM for early Darshan. Entry is completely free of all, however, quick Darshan is possible by purchasing Darshan tickets. It is visited by many devotees on a regular basis and it attracts thousands of visitors on normal days. Attend an art in the temples is one of the most spiritual feeling. Check Aarti timing of Siddhivinayak temple in well advance is a good way to attend the various arti in the temple complex. Below are the complete details of Siddhivinayak Mandir Aarti timings including Tuesday. Prayer timings and schedule as per siddhivinayak temple official website, follow the site for more information about these schedules. 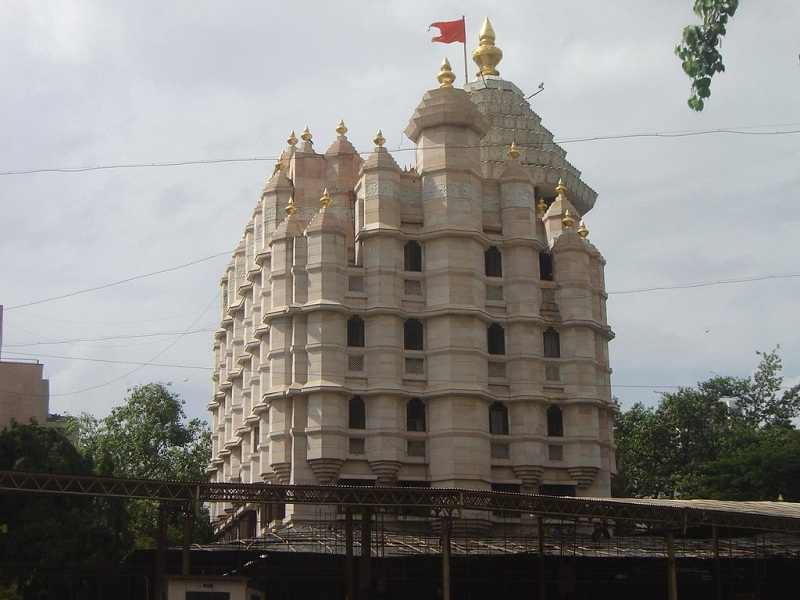 Shree Siddhivinayak Ganapati Mandir is located in Prabhadevi on S. K. Bole Marg. It is a famous landmark of the city and well connected with all parts of the city. Reaching here via local, bus, auto and taxi is a simple task. Dadar is the nearest railway station and it is just 1.5 KM from here. Visitors can reach here via foot in 20 minutes or hire an auto at a nominal charge of 20 to 30 Rs. Buses and cabs are also easily available. It is a divine place to visit in Mumbai and here are some last minute tips which helps you the planning the visit to the temple. Devotees should spare 2 hours time for the Darshan on normal days. Laddu & Coconut Barfi Prasad is available for 10 Rs. Foreigners and NRIs can purchase online tickets in 3 days advance for Ganpati Darshan by paying 50 Rs. Free footwear stall is available here along with water. It gets crowded on Tuesday, Ganesh Chaturthi, weekends, holidays and auspicious Hindu festival. Parking is very limited here and public transport is recommended. Digital Camera and laptops are not available inside the temple. Camera and laptops can be deposited at deposit counter by paying 10 Rs and 50 Rs respectively. Mobile Phones are allowed, however, photography is prohibited. Gate Number 5 is specially for foreigners, NRI’s and elderly. Gateway of India is also one of the most visited place of Mumbai.